FuJian Yanan Power Group ,committed to be a high quality corporation and provide the clear and reliable resources/power for the world, is the leading supplier of systematic power solution. The company was founded in 1991.From the beginning,Yanan has been focusing on the customer and market demand,besides.Yanan seeks for continuous and healthy development by innovation and till now,it has been a modernized private enterprise with the scientific research, production, sales and service. The group has four subsidiary companies:"FuJian FuAn Mindong Yanan Electrical Machine Co.Ltd." "FuJian Yanan Electric Machine Co.Ltd"; " FuJian Yanan Import & Export Trading Co.Ltd"; and "XiaMen Yanan Electric Machine Co.Ltd".Except from these, It has established more than 10 overseas sales and service branches.The users and customers spread over more than 100 countries and regions.The corporation successively passed three approval of quality management system (ISO9001,ISO14001,ISO28001). The products have achieved the international approval such as UL,CE, TAIER,CCS, SONCAP. 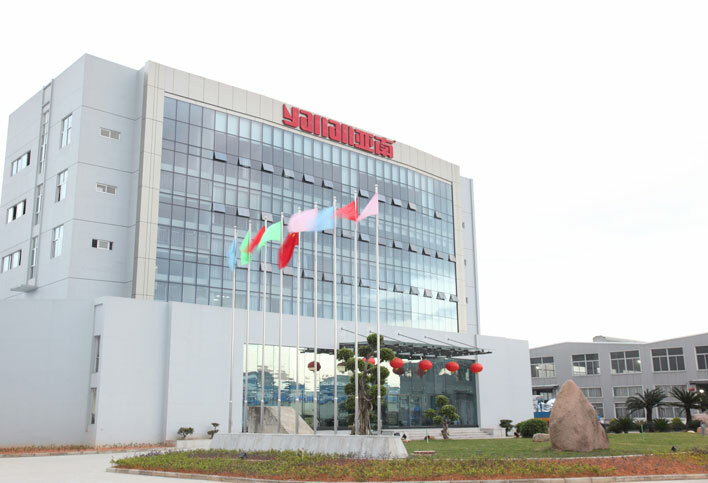 The group always adheres to the philosophy of the priority is to create the excellent team .Now they are more than 600 employees in company,among which more than 20% is engineers and they have built the technological corporation relationship with R&D institutions such as Chinese Academy of Science,Chinese carrier rocket technology research institute and Shanghai JiaoTong University .The products of the coportion have achieved the comprehensive upgrade because of team innovation.There are not only 2kw-3000kw alternator( land or marine use) and generator set, but also many products and technologies (such as hydrogen fuel cell power generation equipment technology,hybrid car rare earth permanent magnet motor,high precision rare earth permanent magnet motor servo/spindle) are outstandingly advanced in new energy field;in addition,the corporation has owned more than 50 technical patents.By taking full advantage of the brand, technology,team, funds and good sales network, the group has changed the business pattern from the electric power equipment manufacturer to the supplier of systematic power solution.Through comprehensive products and service,both the users and customers can experience the one - stop turnkey products. The corporation has been achieved a lot of reputation including :"the commercial ministry recommend export brand" ,"AAA credit Rating for export enterprise","Faith Supervision First class enterprise". It also has been approved as "High-tech"Enterprise","Fujian academician experts workstation","Fujian innovation enterprise","Fujian provincial enterprise center","Fujian new energy technology innovation strategy alliance" and so on.The company has been awarded as "Fujian creditable enterprise"and "Fuan large Taxpayer".Besides,the group was affirmed as the "The United Nation Purchasing supplier"by the United Nation agency in 2004 and entrusted by the ministry of commerce . It undertook the aid of the large base station construction project in Senegal,Guinea,Burma,Venezuela and India Telecom. Yanan is becoming the leading global brand of power industry in new age by continuous and effective organization innovation，technological innovation and management innovation.